Sgt. 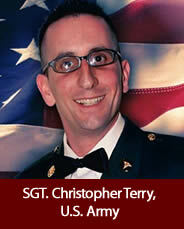 Christopher Terry, U.S. Army, age 37, died March 18, 2014, from cancer. Terry was a Global War on Terrorism (GWOT) veteran.